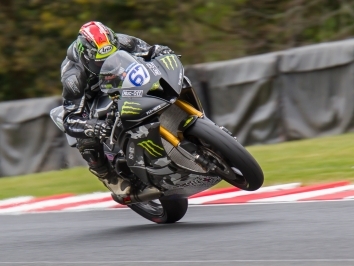 Integro Yamaha’s Jack Kennedy stamped his authority on the Knockhill circuit with his second Dickies British Supersport win of the weekend and another victory over title rival Ben Currie. The Irishman took the win less than two tenths of a second clear of Gearlink Kawasaki’s Currie, who led nearly the entire race and lost out in another drag race to the line. 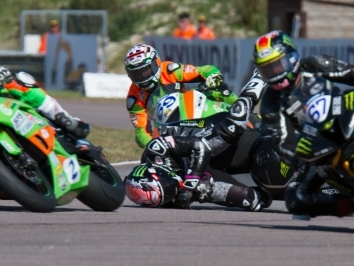 Currie grabbed his trademark holeshot as he and Kennedy slotted into the top two positions, as per, while Everquip Racing’s James Rispoli was threatening to upset the title fight as he tucked into third. 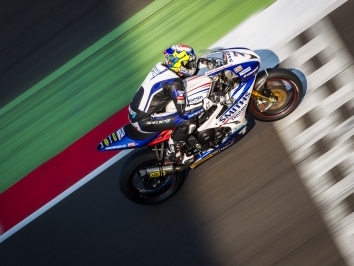 But as the top two began to pull away in expected fashion, Rispoli fell into the clutches of EHA/IN Competition Racing’s David Allingham, who levered the American aside to take over third. Kennedy and Currie traded blows at the front as they pulled over seven seconds clear of Allingham, with the Australian leading nearly the entire middle of the race. And bad went to worse for Kennedy when a backmarker interrupted his charge and allowed Currie to break a vital half second free at the front. But the Irishman clawed his way back in the closing stages and stuck a tight pass into the Hairpin as the two headed up the hill onto the final lap. Despite Currie’s strong drive up to the chequered flag, he couldn’t quite beat Kennedy and had to once again settle for his sixth runner-up finish in eight races, while his Gearlink team-mate James Westmoreland edged Allingham for the final rostrum spot.